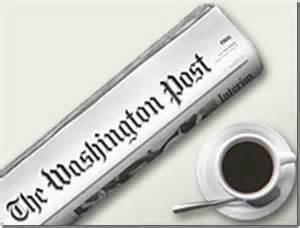 One of the few reasoned analyses of the Obama National Prayer Breakfast “Religions make all people do bad things” flap is linked above from the Washington Post. Jay Michaelson does a nice job reviewing the details of the Crusades, Inquisition and Slavery and Jim Crow activities in the American South and the horror that attended all three perpetrated by Xians following their holy book. It is a great read, very factual and matter of fact, altho I disagree with his ultimate conclusion. Its being discussed, dissed, cussed EVERYWHERE. The first reactions of most of course, both journalists and the commenters from the public at large are predominantly outraged, over-the-top emotional rants, full of “dissing my religion” reactionary rhetoric, or “butthurt bitching” to use the modern vernacular. But the information is out there. The discussion is everywhere. 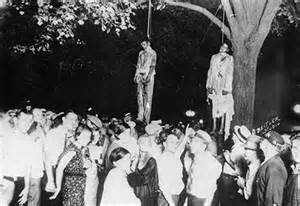 The horrific pix of lynchings all over the South in the 20th century up thru the 30’s and into the 40’s (and beyond under the radar) on a regular basis are undeniable and full of burned black male bodies, tortured, beaten, strangled, filleted. And white folks, XIAN WHITE FOLKS, standing around smiling, not worried in the least their god might disapprove. The comments to the article range from understanding the data and perspective Michaelson presents to outright denial and just more hatred of Obama. What’s missing in the article as well as most of the comments is the realization that religion IS to blame. Even the Post article’s author Michaelson lets religion off the hook in the end as most journalists, pundits, commentators, and commenters do. To him and many it is extremism that is to blame, not the religion. Extremists can hijack any religion, Xianity or Islam, that’s where the blame lies. What’s so bogus about that reasoning is…take out the passages in the holy books that the extremists follow and then imagine what guidance and justification there is for their very specific “extreme” acts. The Charlie Hedbo killers couldn’t have been more clear about avenging the Prophet for forbidden images made of him. Can you imagine them performing the same attack without those passages in their scriptures; Koran and hadith telling them to do so? Without the specific Gospel verses and exhortations of theologians characterizing the Jews as subhuman “Christ Killers” why would the Crusaders off to reclaim the Holy Land from the Muslims decimate Jewish communities along the way? Just an “extreme” whim? Their beef was with the Muslims, right? No, it takes religion to make normal humans do extreme things to their fellow humans. Religion provides the sacred justification, the righteous feeling and the specific target. 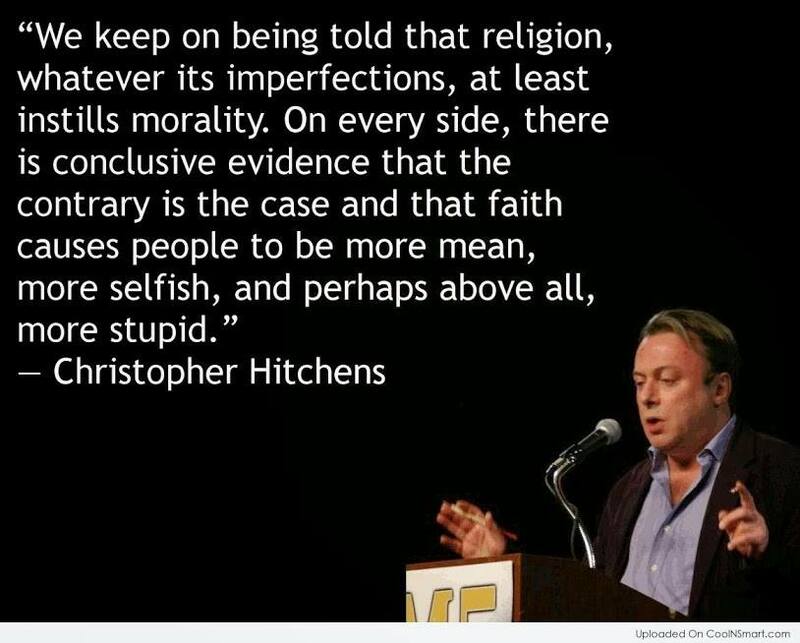 Religion has everything to do with it. Any ideology which puts its ideas and claims and behavioral proscriptions above individual rights and freedoms directly sanctions inhuman behavior. The ISIS Muslims of today and the White Southern Xians of the recent US past are and were just following what is written in their book. Few want to own up to that. Ideologies kill, political and religious. Religion has everything to do with the “extremism” we see throughout history. 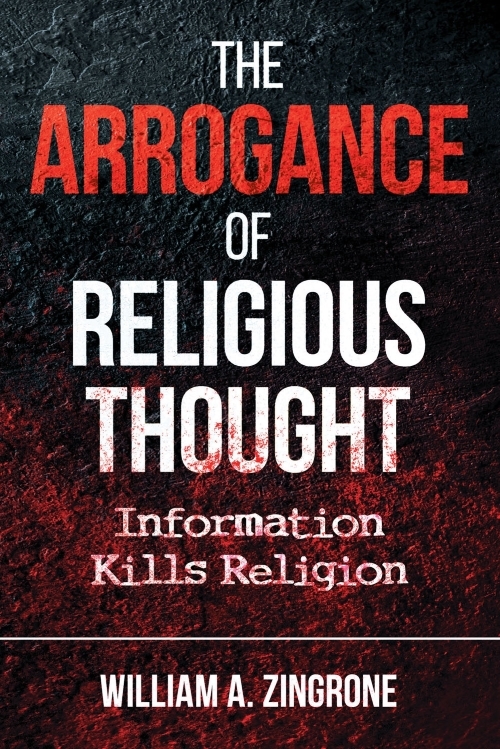 This entry was posted in Anti-theism, Religion, Secularism, Uncategorized and tagged Arrogance of Religious Thought, Christianity, Islam by waz. Bookmark the permalink.